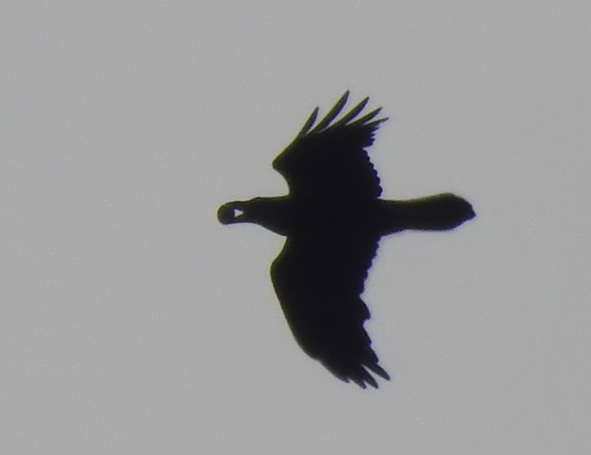 3rd A great day of raptor movements with 2 Red Kites flying north-east at 15:00 and a total of at least 40 Buzzards passing over (CwS ). A couple of hours in the Chasewater Heaths area during the morning produced a Peregrine, Sparrowhawk, 6 Willow Warblers, 11 Chiffchaffs, 3 Blackcaps, 3 Lesser Redpolls and 5 Skylarks (AB). 4th 140 Sand Martins, 18 Swallows, a Redshank and 2 White Wagtails were present (CwS). 5th The earliest Lesser Whitethroat on record was present near the railway along with several Blackcaps. Over 200 Sand Martins were over the lake and a Shelduck was present (CwS). An adult Little Gull (PW) was amongst 800 Black-headed Gulls on the lake, 60 Sand Martins, 6 Buzzards and a Raven were noted whilst Willow Warblers, Blackcaps and Chiffchaffs were in song during a twenty minute visit (GE). S 7th Three Common Scoters were seen off the Sailing Club, 3 Willow Warblers and 2 Little Ringed Plovers were also present (SBi). 8th Four (3 adults, 2cy) Little Gulls and an Arctic Tern were present (PW, JHu, VT, JT, JA) along with a Black Tern (CM, RF). Orange Tips are now on the wing (DL). S 9th Five (4 adults, 2cy) Little Gulls and a Common Tern were presnt until 18:30 when they all flew east. A Yellow Wagtail was seen during the morning (CwS). 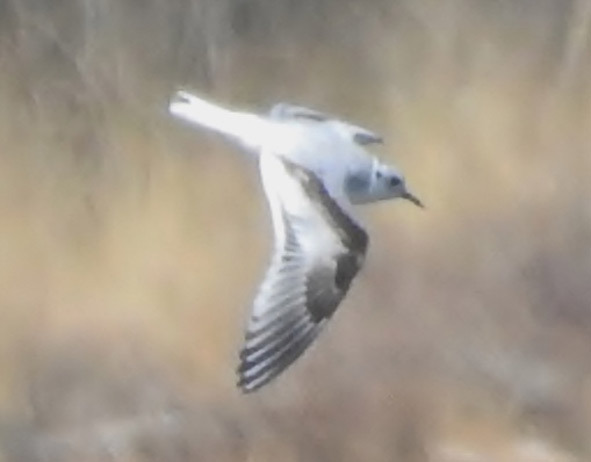 Five (4 adults, 2cy) Little Gulls were amongst 100 Black-headed Gulls. Also present were 2 Common Terns, 2 Oystercatchers and a Curlew flew over (CwS, GE, AB). 1-2 House Martins and Swallows were with the Sand Martins and on the North Shore 8 Willow Warblers, 12 Chiffchaffs, 3 Blackcaps, 12 Bullfinches and 5 Lesser Redpolls were recorded (AB). Peacock, Small Tortoiseshell and an Orange Tip were on the wing but no sign of any Green Hairstreaks yet (GE). 11th The 5 Little Gulls were present until at least 15:00 (GE) but only the 2cy bird was seen in the evening when a 3cy Mediterranean Gull flew in. Also present were 2 Common Terns, 2 Oystercatchers and 7 Greylag Geese (CwS). On Cuckoo Bank there were 2 Redstarts and a Yellow Wagtail (CwS). 12th During the morning a Swift (probably the earliest ever for Chasewater) was with House Martins over the Sailing Club and the 3cy Mediterranean Gull, a 2cy Little Gull and 2 Greylags were present (CwS). During the afternoon a Great White Egret flew west over Willow Vale (PJ). S 13th The 2cy Little Gull was still present along with 2 Common Terns and over 20 House Martins. A Garden Warbler was singing by the Watersports Club (N, GE CwS). S 14th A 2cy Little Gull, 2 Common Terns and 3 Willow Warblers were noted (KD). 16th On Cuckoo Bank there were at least 80 Skylarks, 10 Meadow Pipits, 2 Red-legged Partridges, Linnets, a Garden Warbler and a Grasshopper Warbler (GH). 17th A Great White Egret was present during the morning along with 2 (adult, 2cy) Little Gulls and 2 Whitethroats (CwS). Two Grasshopper Warblers were on Cuckoo Bank along with Meadow Pipits, Linnets, Blackcaps, Willow Warblers, Chiffchaffs, a Garden Warbler, Swallow and a Grey Wagtail (GH). 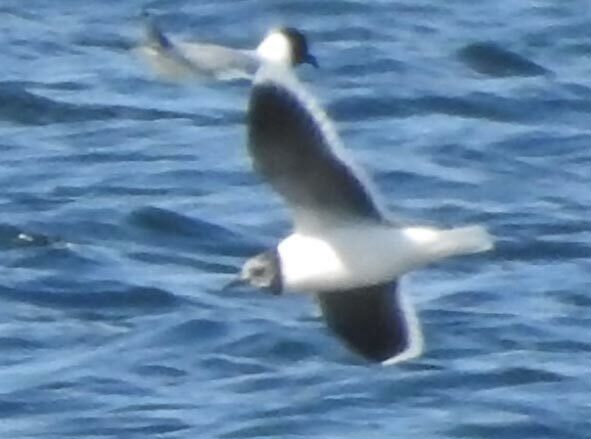 18th A Green Sandpiper, Common Sandpiper, Whitethroat (CM, JJH) and a 2cy Little Gull were present (CwS). 19th A Curlew and a Common Sandpiper were seen in the morning. 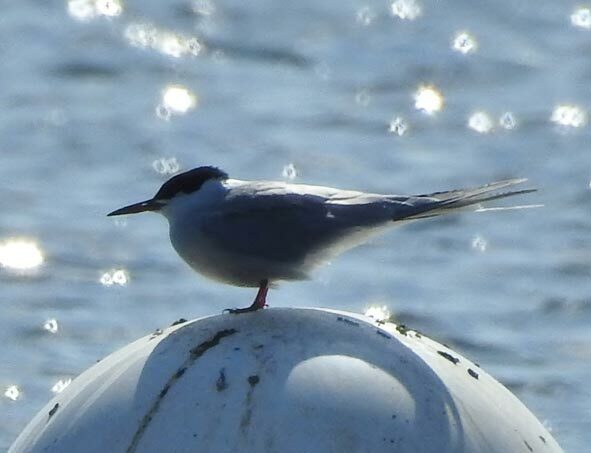 During the evening a 2cy Little Gull, 2 Common Sandpipers and 2 Common Terns were present (CwS). On Cuckoo Bank at least 10 Grasshopper Warblers and 50 Skylarks were in song, Whitethroats, Garden Warblers and a Hobby were also present (CwS). S 20th Two Lesser Whitethroats, 2 Garden Warblers, a Reed Warbler, a Common Sandpiper a Redshank and a Common Tern were present (CM). The monthly WeBS count produced 13 Canada Geese, 2 Greylag Geese, 65 Mute Swans, 1 Shoveler, 5 Gadwall, 73 Mallard, 6 Teal, 57 Tufted Ducks, 17 Great Crested Grebes, 3 Cormorants, 6 Moorhens, 98 Coot, 3 Common Sandpipers, 45 Black-headed Gulls, 17 Lesser Black-backed Gulls and 2 Common Terns. Amongst the 57 bird species noted were 15 Willow Warblers, 7 Chiffchaffs, 2 Reed Warblers, 7 Blackaps, a Garden Warbler and 5 Whitethroats but no hirundines or Swifts were present in the warm and sunny conditions. Orange Tips, Speckled Wood and Green Hairstreaks were on the wing (GE).